I'm trying to figure out how to use two different color maps in 2014b and use multiple color bars. Specifically I want to plot some image data and on top of that plot a set of contours. Basically in the past I used freezecolors and cbfreeze. The same method behind freezecolors still works, changing the CData of your image to RGB values, but the colorbar is still a problem. CBfreeze doesn't seem to work any more because the colorbar objects are no long structs and now are specific objects. I want to have separate colorbars for both the image data and contours but I can't seem to figure out the issue with the colorbars. 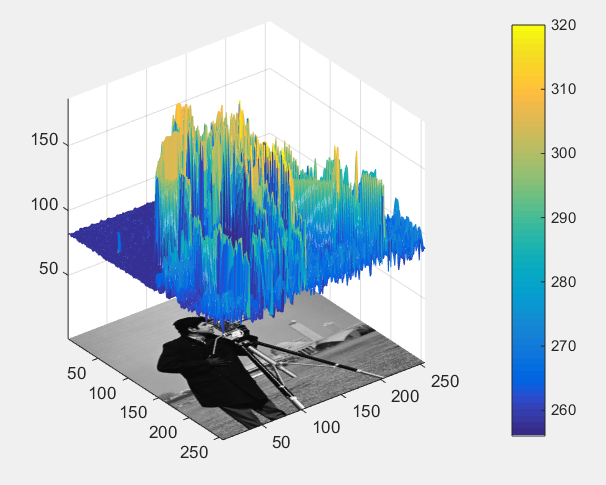 In R2014b MATLAB there is a colormap per axes, not just per figure. This solves lot of problems from the past. Since you are still using freezecolors to get two colormaps in the same axes, that is still fine. 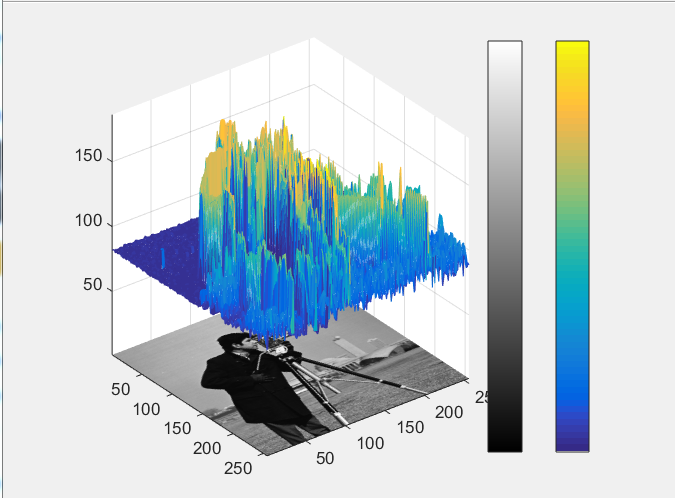 The real question is getting two colorbars for the same axes, correct? Can you post a typical firgure from before? I have the same question/problem. I am attaching a figure of what I could do before 2014b using freezeColors and cbfreeze. However, cbfreeze does not seem to work in 2014b. Thank you. Wow, I'd never noticed R2014b snuck in that change. It's something I've wanted for quite a while, but must have missed in the changes listings! Instead, call subplot with an output argument (which will be the handle of the subplot axes) and pass that handle into colormap. Thank you, Sean. However, the problem is how to add two different colorbars corresponding to the two different colormaps. Your example shows only one colorbar. I am attaching an example graph of what I mean. I produced the attached graph with Matlab 2013b using freezecolors and cbfreeze. However, as I said, cbfreeze does not work anylonger on Matlab 2014b. I think you got it, thanks for the help! The only thing I'm going to have to watch out for is if the two data sources here are in the same range. It looks like you get around that by adding an offset to the data in the manifold right? I believe you can work around this by changing the labeling on the colorbar. I'll post a piece of example code if I get it working to show what I'm talking about. Still isn't clear how to use two different colormaps. How do you change the colormap? I made a solution to this for a problem I was working on. It's called newcolorbar.